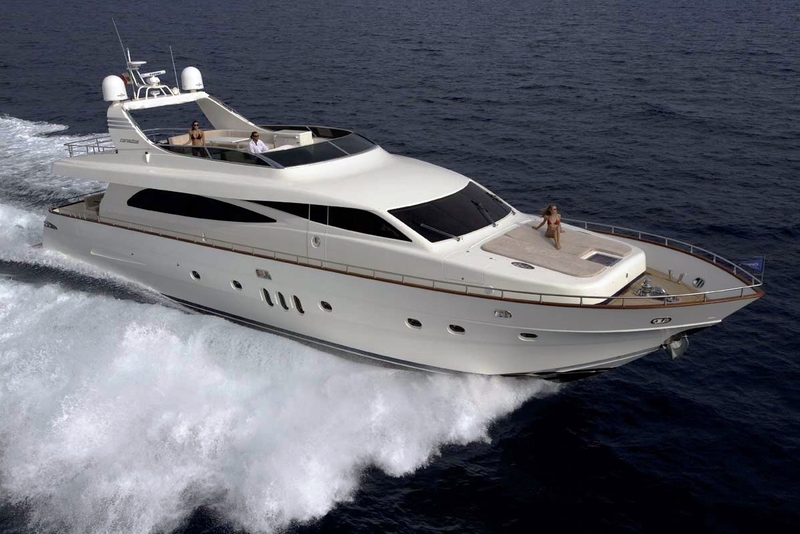 Luxury motor yacht TALYNE is a 26.48m (86' 10") Canados with launch in 2008. 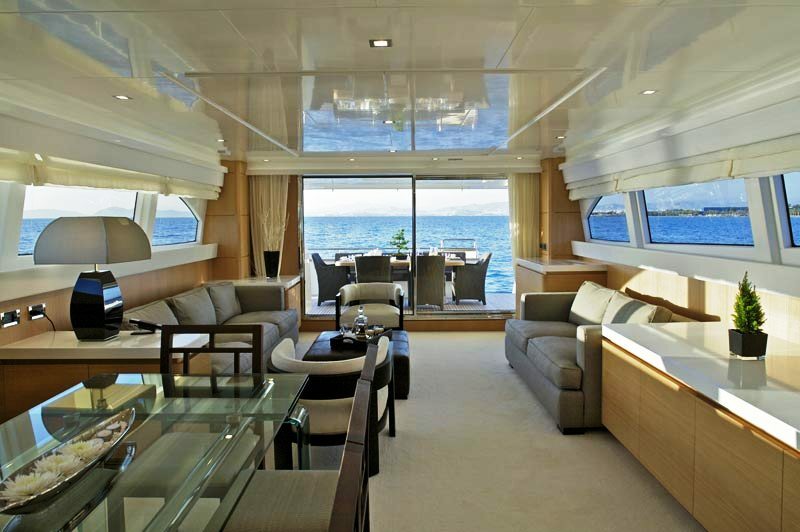 The yacht features interior design by A. Salvani and accommodates 9 charter guests, in 4 cabins. 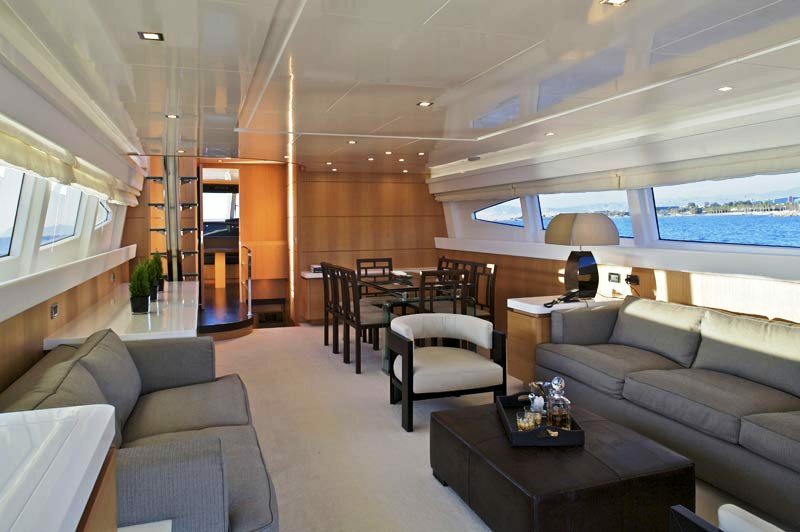 Motor yacht TALYNE’s salon features beautiful interior design including the work of “Armani” and “Fendi”. To port there is a “POP-UP” plasma TV for your viewing pleasure and a 2-3 person sky grey sofa. There is a low cut Fendi coffee table in the center of the salon, and opposite a matching 3-4 person sofa. The entire salon is flooded with natural light enabling you to indulge in the view while relaxing in the cool air-conditioning. 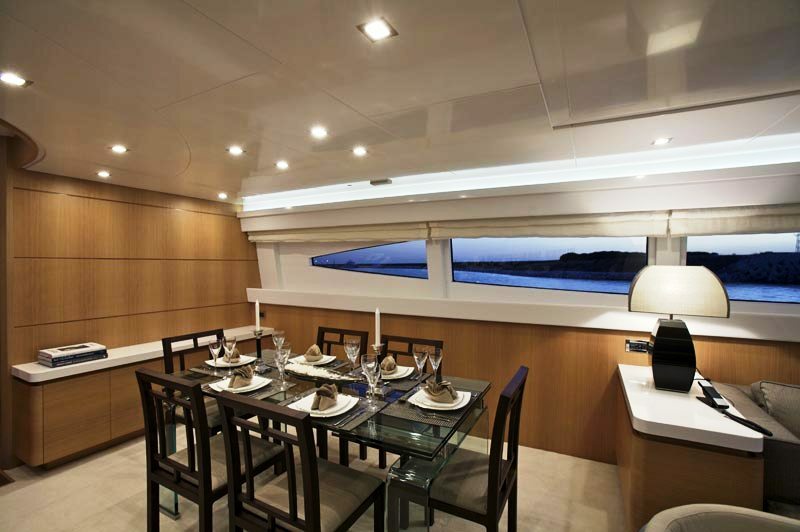 Canados 86 motor yacht TALYNE’s dining area is directly after the salon sitting area, to port. Up to 9 guests can dine at the glass Armani dining table. Across from the dining table there is a small glass staircase which is softly laminated with “black-light” spot lights, leading to the sundeck. 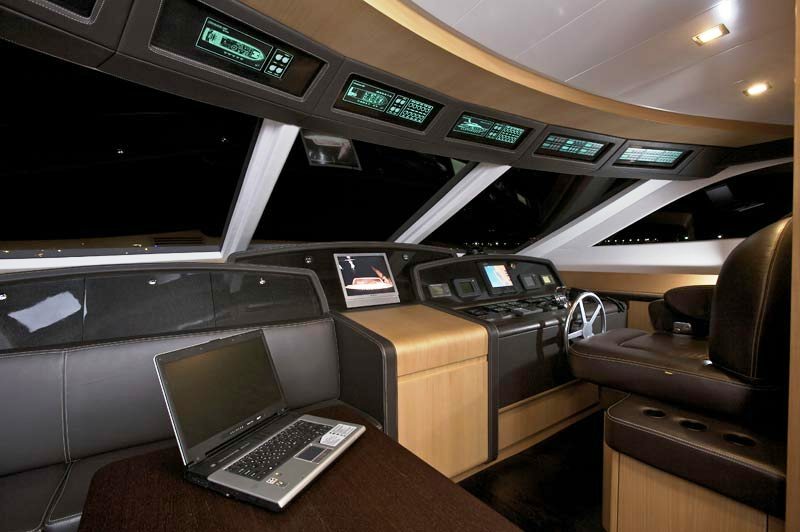 Forward on the main deck there is a day head, the galley and the Bridge, which is suited with all the latest technology for outmost safety. 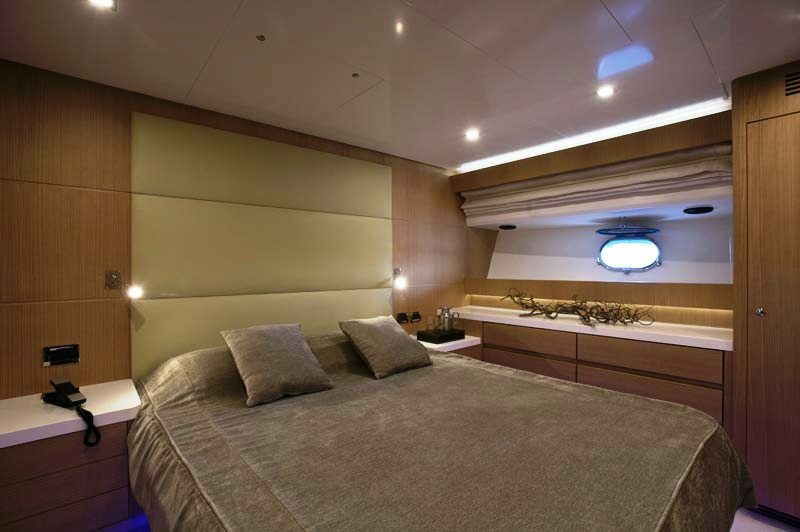 The Master Cabin is located amidships and is full width of the beam. 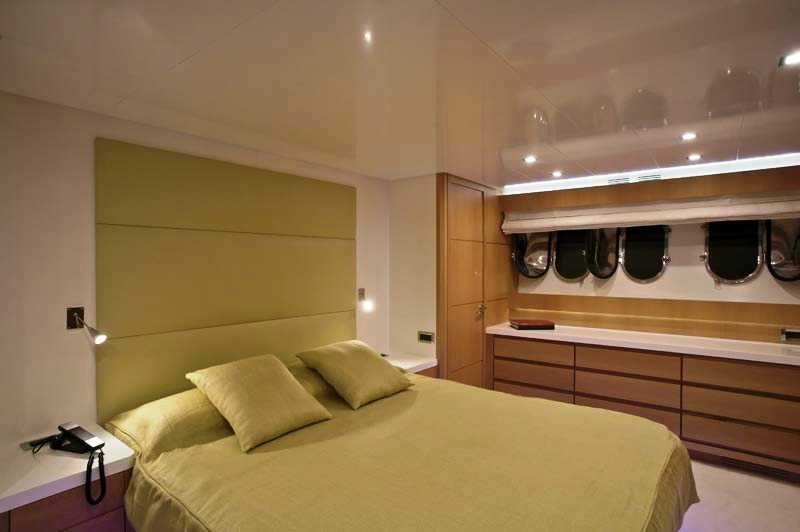 The cabin has a centreline double bed, a walk-in-dressing room and the en-suite facilities. Satellite TV, DVD, CD and hi-fi audio are just a touch upon your request, and the cabin also features air-conditioning and small safe. 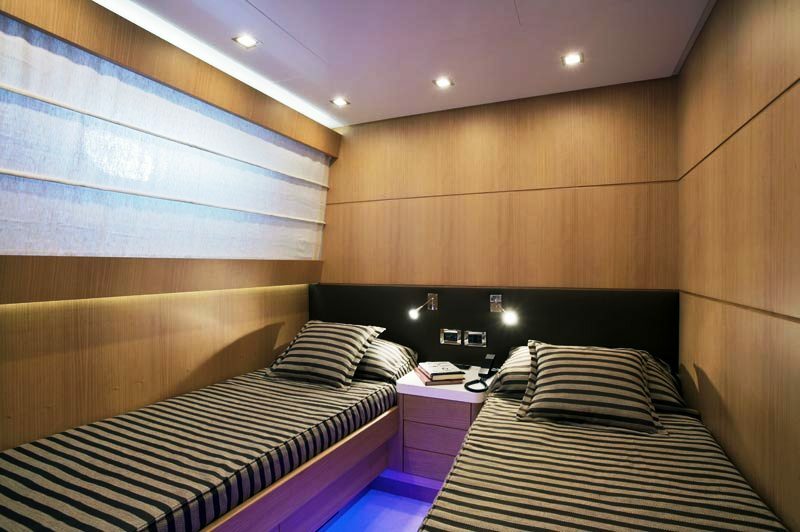 The VIP Cabin located forward is almost identical to the Master Cabin, with no walk-in-dressing. There are 2 twin cabins, one with a Pullman berth to accommodate one more guest. All the cabins are fitted with the finest of materials. 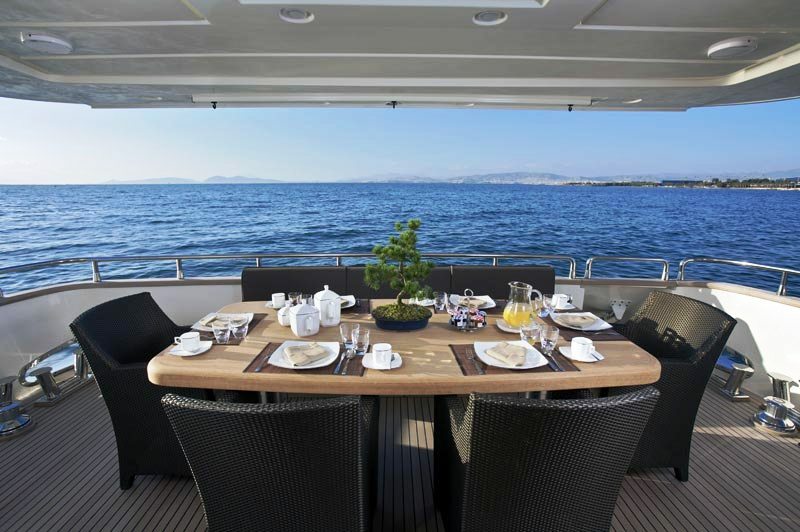 Luxury yacht TALYNE has a great sun deck with an L shaped couch with table for al fresco dining, large sun bathing mattress, and sunbeds. 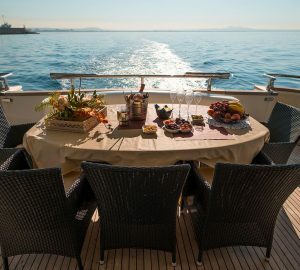 her aft deck is also spacious with a large sheltered dining table for 9 guests. 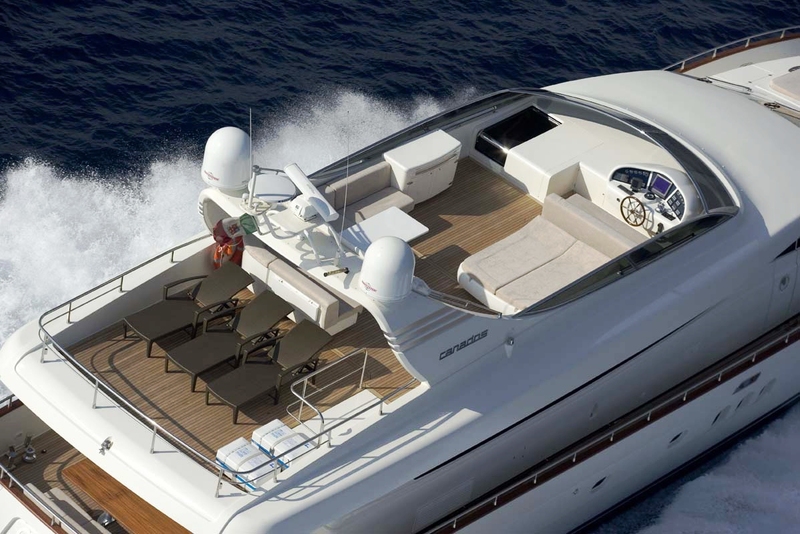 Powered by twin 2 x 1800hp C32 CAT engines, the planing hull can travel at a cruising speed of 27 knots with a top speed of 32 knots. 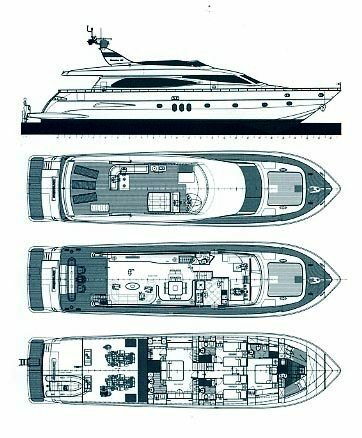 Tenders & Toys: 1 x 3,6m Zodiac Yachtline with 40hp outboard. 1 x Seadoo 1300cc (3-seat) wave runner. 2 x Tubes. 2 x Paddle boards. Knee-board. Wake board. Canoe kayak. 1 x pair water skis (one ski turns into mono-ski). Snorkeling and fishing equipment. 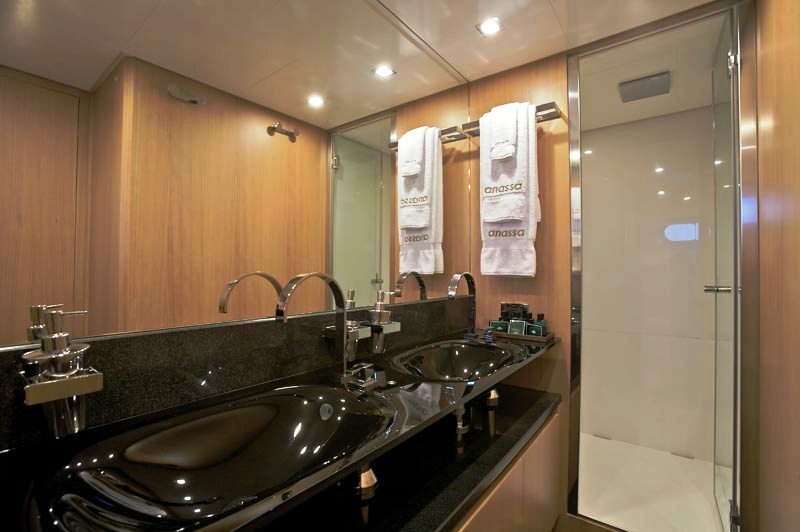 Audio Visual Equipment and Deck Facilities: LCD screens, Satellite TV/DVD/CD/Audio System in all cabins and salon. Communications: Wireless Internet, e-mail access, GPRS, Tel. 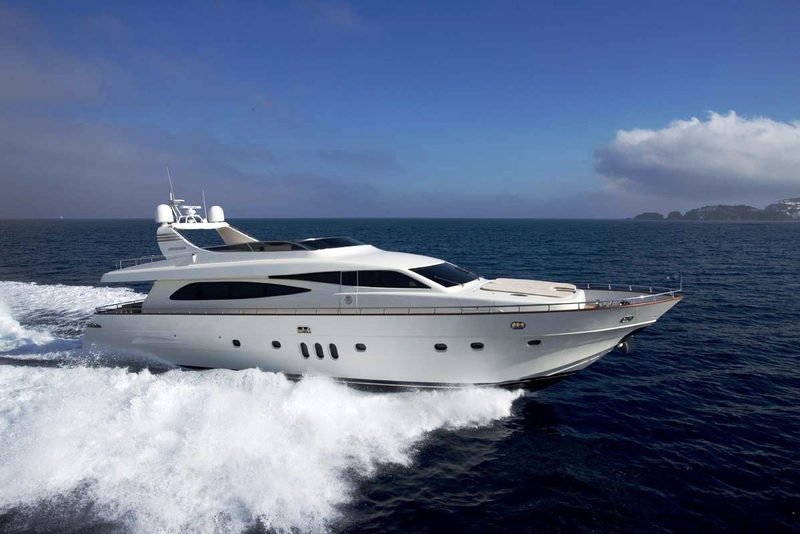 Notes: Bow-thruster, stern-thruster, water-maker, ice-maker, BBQ, safety box in Master and VIP cabins and air-conditioning throughout.